When looking for hotels near the Charlotte, NC airport, you can count on the Hilton Garden Inn Charlotte Airport. With over 1,700 sq. 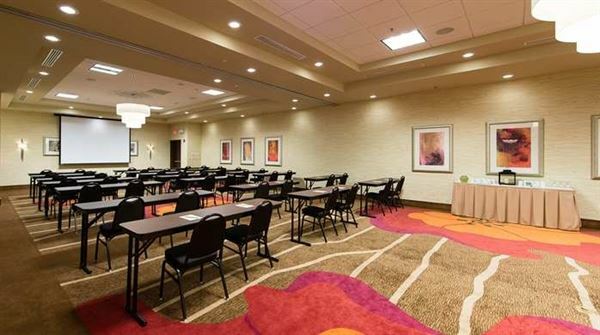 ft. of meeting space, 117 hotel rooms featuring free WiFi, complimentary airport shuttle service, 24-hour fitness room, and an outdoor pool, our Charlotte airport hotel can easily accommodate large groups including sporting teams, reunions and wedding parties.